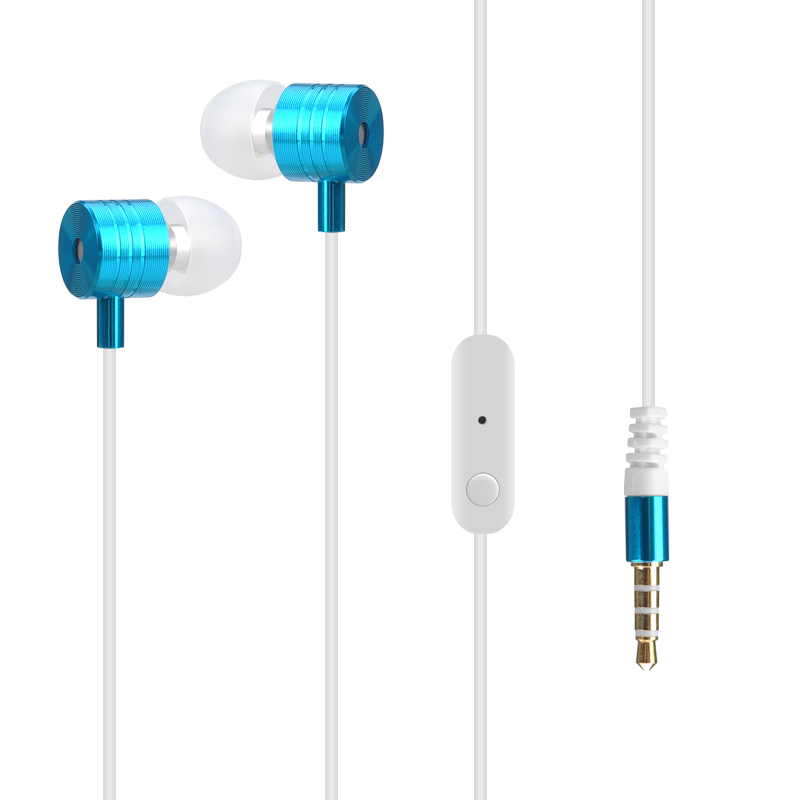 Successfully Added FESTORY F100 In-Ear Bass Earbuds - Remote Control, Mic (Blue) to your Shopping Cart. Brining a superior quality sound for crystal clear music the FESTORY F001 in-ear earbuds have a 20 to 20,000 Hz range and with their bass bring you will be enjoying beautiful music without any distortions or interference from outside noise. Made from soft silicone and TPE these earphones sit comfortably in your ears without causing any discomfort or irritation. You can enjoy endless hours of music with these high quality earphones and the built in mic will let you take calls directly using the on wire control so you needn't take you phone out. These Low-impedance ( 30 Ohm ) earphones will play well at home on your desktop computer and are well suited to on the go use with smart phones, tablets and music players. The FESTORY F001 in ear bass earbuds come with 12 months warranty, brought to you by the leader in electronic devices as well as wholesale phone accessories..
Arabic: - سماعات الإذن بأس - Chinese Simplified: - 低音耳塞 - Czech: - Basy sluchátka do uší - Danish: - In-Ear bas hovedtelefoner - Dutch: - Bas in-Ear Earphones - French: - Basses écouteurs In-Ear - German: - Bass in-Ear-Ohrhörer - Hebrew: - בס אוזניות - Hindi: - बास में कान इयरफ़ोन - Italian: - In-Ear auricolari Bass - Japanese: - 低音イヤホン - Korean: - 귀에 베이스 이어폰 - Malay: - Telinga bes di telinga - Norwegian Bokmål: - Bass øreplugger - Romanian: - Înăuntru-ureche Earphones bas - Russian: - В ухо наушники бас - Spanish: - Auriculares bajos - Thai: - หูฟังเสียงในหู - Turkish: - Bas kulak içi kulaklıklar - Vietnamese: - Trong Ear Earphones Bass.